Halfway there! And woo-boy, is it going well. I haven’t missed a single day, somehow. Let’s hope I can keep up the pace! Thank whoever nominated you with big, bold print. If they have a blog, link to the post where you got tagged there. Post the cover of a book that was influential on you or that you love dearly. Explain why (because I don’t see the point of just posting a picture of a book cover without an explanation. That goes for Facebook as well as blogs). Tag someone else to do the challenge, and let them know they’ve been tagged. I wasn’t sure whether to do the other Stephen King novel or something else today, but in the end, I decided to get the second novel out of the way and save a particular novel for Day Six. 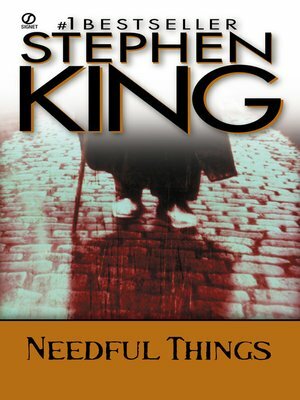 For Day Five, I’m going with another example of quintessential Stephen King: Needful Things. This is a novel that is both terrifying and hilarious, campy yet deep, and full of all the weirdness that we love about King. It’s also one of those thousand-page whoppers he churns out every couple of years, and I absolutely love it! The story takes place in Castle Rock, the same little town that’s the setting for King’s new show on Hulu, Castle Rock. A man named Leland Gaunt opens up a shop called Needful Things and starts selling the most amazing products to his customers…in exchange for a favor. And each favor exposes a darker side of the town, a domino in a Rube Goldberg machine, all leading to one inevitable conclusion. I’ve had the chance to reread this book several times since I first read it about three years ago. To be more precise, I listen to the audio book, which is narrated by His Royal Scariness Stephen King himself. And it gets me every time. On the one hand, you have all the scares that you’d expect from King: a villain that appears human but soon reveals himself to be so much more, a spider-creature that Gaunt uses to great effect in the novel, people who are just assholes on a bad day but under Gaunt’s influences become psychopaths and murderers, full of rage and jealousy. On the other hand, you have weird ad hilarious moments like two overweight housewives both believing they’re having very intense romantic/sexual affairs with Elvis Presley, a woman who gets off on having feuds and fights, and a town sheriff whose love of magic tricks proves important to saving the day! And somehow, it all works wonderfully! I hope someday I can write as well as that, because let me tell you, it might come in handy for some of my weirder ideas. Sadly, this novel has not gotten the same amount of love as some of King’s other works. Hell, the only adaptation is one terrible movie that came out a little over two months after I was born. I think it’s due for a graphic novel or a TV adaptation (which is why I hope it somehow features more prominently in Castle Rock season 2)., but then again, Hollywood doesn’t listen to me that much. They certainly haven’t heard my pleas for an adaptation of The Library Policeman as of yet. Still, if you’re in the mood for an unusual horror novel with weird and hilarious moments peppered here and there, you can’t go wrong with Needful Things. And now to tag someone. I hereby nominate my good friend Kat Impossible from the blog Life and Other Disasters. I know you’re busy starting a new job in Berlin, Kat, but I hope you’re able to find the time to do this. 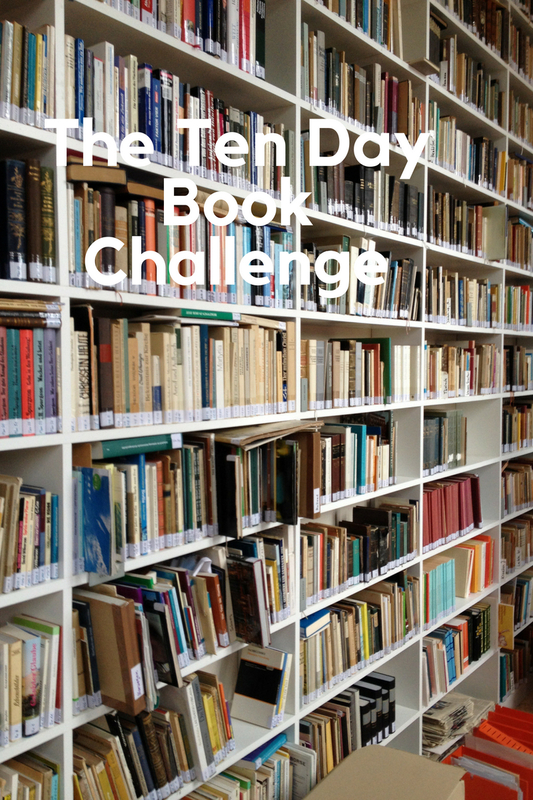 Especially since you tend to enjoy book related tags and challenges. That’s all for now, my Followers of Fear. Until next time, pleasant nightmares!